The head of the shipyard, where the submarine was repaired, said there were no serious hardware failures on the Sindhurakshak during the three-month post-repair period and the crew’s complaints were dealt with in a timely manner. Experts from Russia and India have no doubt that systems and mechanisms onboard the INS Sindhurakshak, which exploded at the Mumbai port on the night of August 14, were in working order, Anton Trofimov, head of the Zvyozdochka ship repair centre’s warranty group, said recently. Trofimov was part of the warranty group’s delegation that travelled to India, where a probe into the submarine’s explosion is under way. He added that there were no serious hardware failures on the submarine during the three-month post-repair period and the crew’s complaints were dealt with in a timely manner. In August, while docked at Mumbai, INS Sindhurakshak suffered explosions and a fire onboard before sinking and taking 18 sailors to their deaths. “I can’t even imagine how we could help. The submarine sunk and divers are conducting the necessary work. We are not divers or explosives experts. We have no experience of salvaging vessels or conducting underwater search and rescue operations. There was no need for us to be there at all. That’s why we expressed understanding of the base access restrictions imposed by the Indian side,” Trofimov said. It has been reported that an error involving the loading of torpedoes might have caused the explosion onboard the diesel-powered INS Sindhurakshak submarine, which sank on August 14. There have also been the usual conspiracy theories doing the rounds of the Indian media. 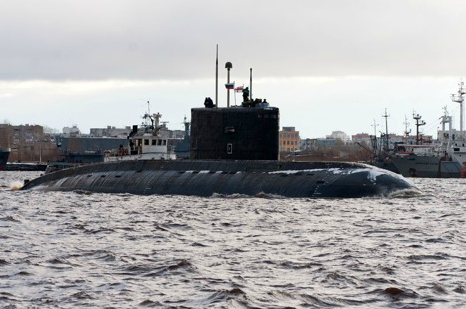 The submarine was built at the Admiralty Shipyards in St Petersburg in 1997 for the Indian Navy’s and upgraded at the Zvyozdochka ship repair centre in Severodvinsk. The submarine was carrying the Club-S modern missile complex in addition to more than 10 Indian and foreign made systems, including the Ushus hydro acoustic complex and the Porpoise radar.